The Swatch Freewide Tour stop at Revelstoke has been rescheduled to March 2014. The tour was originally scheduled to open at the Revelstoke Mountain Resort this week. However, the resort’s website reports that “Although Revelstoke Mountain Resort (RMR) has recently opened for the season with great early season conditions, the competition venue known as ‘Mac Daddy’ face is in the backcountry outside of the resort, and is not yet suitable for the event.” The avalanche rating at the beginning of December was “considerable.” Before the competition takes place, the snow will need to settle and mature on the north-facing slope which is outside the resort boundary in backcountry terrain. The 2014 Freeride World Tour season will now open in on January 18 at Courmayeur Mont Blanc, ITA, with men’s ski and snowboard competition. While fans are waiting for the competition, they can stay busy skiing themselves at the Revelstoke Mountain Resort. The slopes at the resort have ideal early season conditions. In fact, the early season conditions are the best they’ve been since the resort opened in 2007. 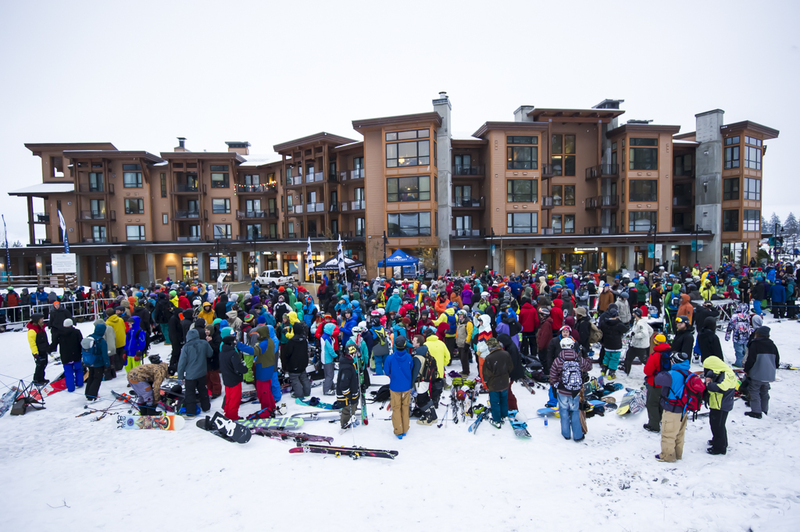 Even with the delay of the Swatch Freeride World Tour event, the resort is still abuzz with plenty of outdoor activity.